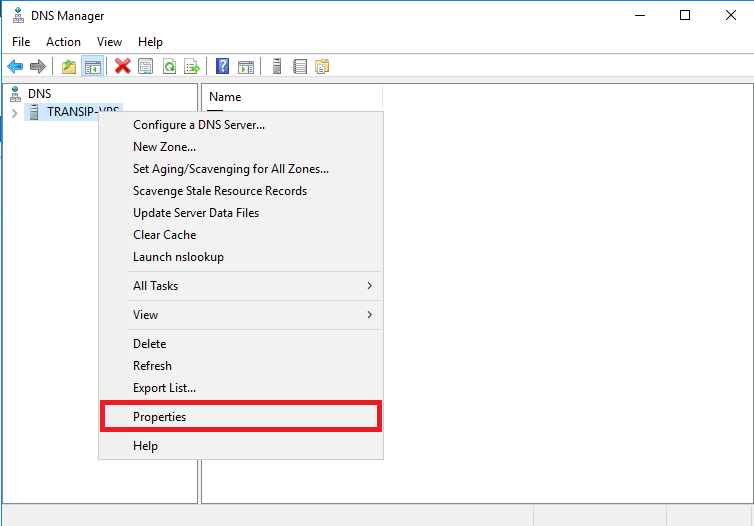 How do I disable open DNS resolvers? Open DNS resolvers are DNS resolvers that respond to each IP address and can, therefore, be abused for "amplification attacks". Simply put, an amount of data can be sent to your DNS resolvers (from a spoofed IP) and a significantly larger amount of data is returned. In this way, malicious people can then misuse your resolvers to perform a (D)DoS attack on the spoofed IP address. Alternatively, instead of the instruction below, you can use the inbound rules of your Windows Firewall with Advanced Security> DNS(TCP, Incoming & UDP, Incoming)> Scope> Remote IP addresses to only allow 127.0.0.1, the IP of your VPS and the IPs on your private network. 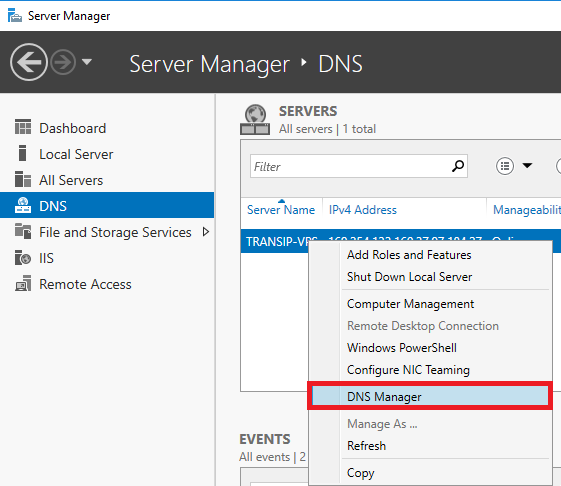 Log in to your server and click 'DNS' in your Server Manager with the left mouse button. Then click the name of your VPS with the right mouse button and click 'DNS Manager'. DNS management is opened. Click the name of the VPS with the left mouse button in the left menu and then 'Properties' with the right mouse button (directly clicking the name of the VPS with the right mouse button does not work). Click the 'Advanced' tab (see the screenshot in step 4). Check ​​'Disable recursion' and click 'Apply'. Open DNS resolvers on your VPS are now disabled. Save the changes and close the file (ctrl + x > y > enter).